1(b) figurative. (with allusion to the traditional use of a carrot to induce a donkey to move, frequently opposed to stick). Clueless in Seattle, a regular reader, requested carrot with the words "I flippin' love carrots." This is good, because it just so happens that I love carrots too: raw carrots, cooked carrots, carrot cake, carrot juice, a snowman's nose-carrot, and carrots amusingly shaped like ... well ... let's just call them amusingly-shaped carrots. In fact, the only carrots I don't like are the carrots you get in packs of frozen vegetables and cheap meat pies. You know them, right? They're tiny, mushy, fluorescent orange nubs of evil; they're anti-carrots, a worthless charade of a carrot that should be spat out, cursed and banished from the land. I really don't like those carrots, as I'm sure is plain to see. Talking of seeing, you're no doubt aware that carrots improve eye-sight, right? And specifically night-vision. This tasty little morsel of folklore has its origins in WWII, when the dastardly Germans were besieging Britain with their terrifying night-bombers. Those plucky Brits weren't going to take this lying down, however, and decided they'd give the Hun a good old fashioned rollicking. In fact, such was the unfathomable success of the Brits in shooting down the Boche bombers that something was surely amiss. The truth is that Britain had developed radar but, rather than advertise their new secret weapon to the enemy, Whitehall instead spread misinformation that this success was down to RAF rations being high in carrots, specifically for the purpose of improving night-vision. The benefits of this little porky were that the British population, eager to acquire this hallowed 'night-vision' for use in the blackout, hungrily gobbled up their rations of carrots (one of the few things for which there was an oversupply) which eased the pressure on other foodstuffs. As for the Boche, they were kept well and truly in the dark and Britain went on to win the Battle of Britain, the first major defeat suffered by Nazi Germany in the war. Huzzah! Don't despair though; this particular bit of wartime propaganda doesn't mean carrots aren't good for your eyes - they are (they just won't give you Super Night Vision Power). 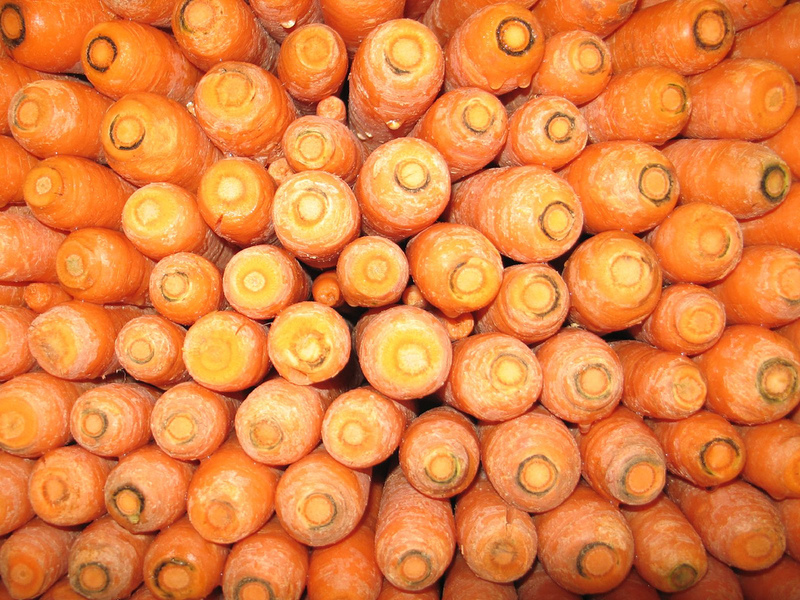 Being choc full of beta-carotene which your liver converts into Vitamin A, carrots are indeed good for your eyes. However, if you go gobbling them by the bucketload in striving for 20/20, you're likely to be overcome by a rather disturbing orange tinge, as overconsumption causes carotenosis, an otherwise benign condition that turns your skin a weird shade of Kilroy. As for their colour, yes, it is true that those lovely Netherlanders selectively bred them to be orange in the 17th century - until that time, and at least since the 10th century, carrots had been cultivated in India, Europe and the Middle East and were predominantly purple. Note: If you have any carroty questions that haven't been answered in this article, may I suggest that you give The World Carrot Museum a squizz? No, seriously, that is a thing, and it's a veritable fount of carroty knowledge, with articles like "Carrots Make Excellent Lasers" and "What Kalabarian Philosophy Says About Selecting the Name 'Carrot'". Seriously - these guys are bananas about carrots. Any interesting carroty trivia to share? Do please root out your most umbelliferous comments in the box below. Blast! I was going to dazzle you Ed with my dizzying knowledge of those dastardly Dutch and their carrot colour changing conspiracy, a fact which when brandished at a dinner party would cause all within earshot to gasp in incredulity, but alas, you beat me to it. I'd have to agree with C. I flippin love carrots too. Especially chopped into matchsticks with houmous. Purple carrots. How cool would that be? They're on the market now, A.N, and they're orange on the inside. How cool is that indeed! Damn it, C. You made me Google 'carrots and the Boer war'. I'll never forgive you for that. But on the positive end of things, now if you Google "carrots and the Boer war," Lexicolatry is the fourth result. So well done there.